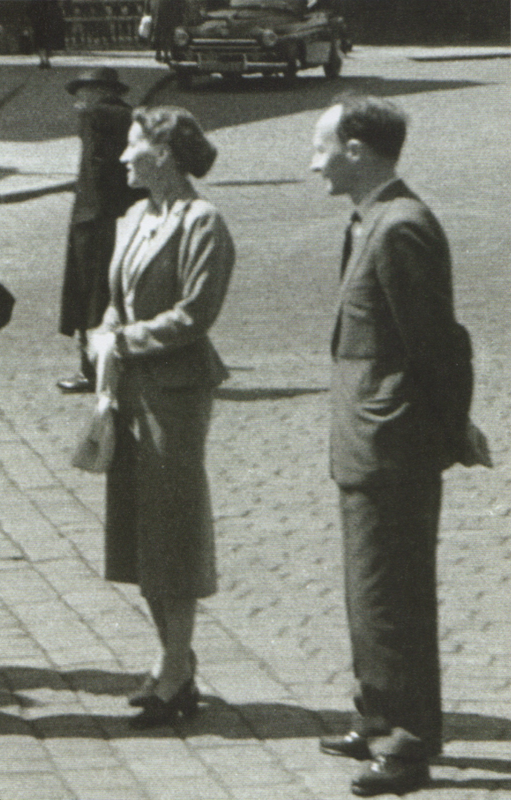 * There is another photograph dated Prague, May 1957, with the Lutosławscy wearing the same suits and standing in the sunshine on a large square (no bouquet but a handbag! 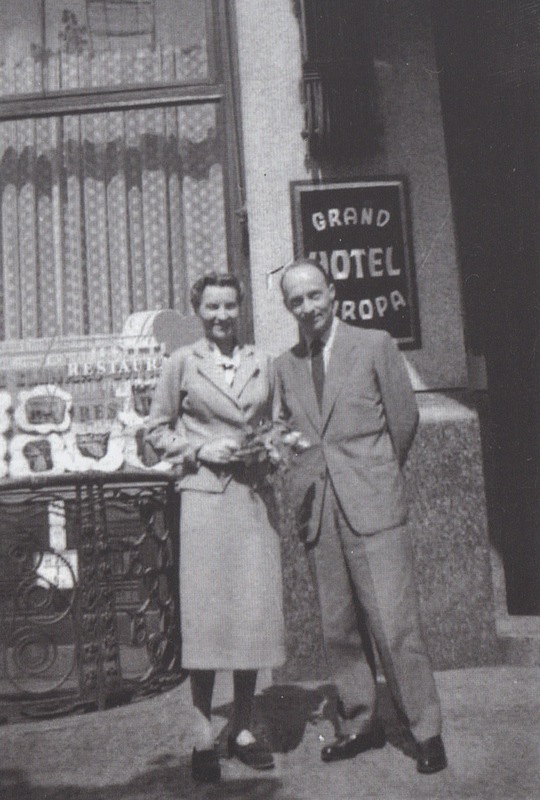 ), in a selection of photographs at the back of Zofia Owińska’s Lutosławski o sobie (Gdańsk: słowo/obraz territoria and the Witold Lutosławski Society, 2010). 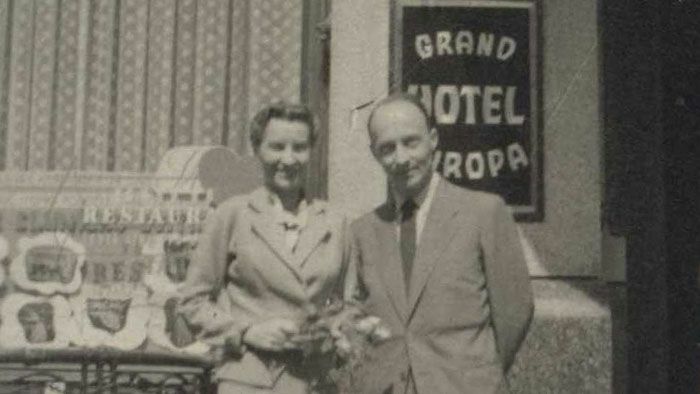 There is also a photo, taken in Switzerland (which the Lutosławscy also visited in 1957), in which Danuta Lutosławski is wearing the same two-piece suit. 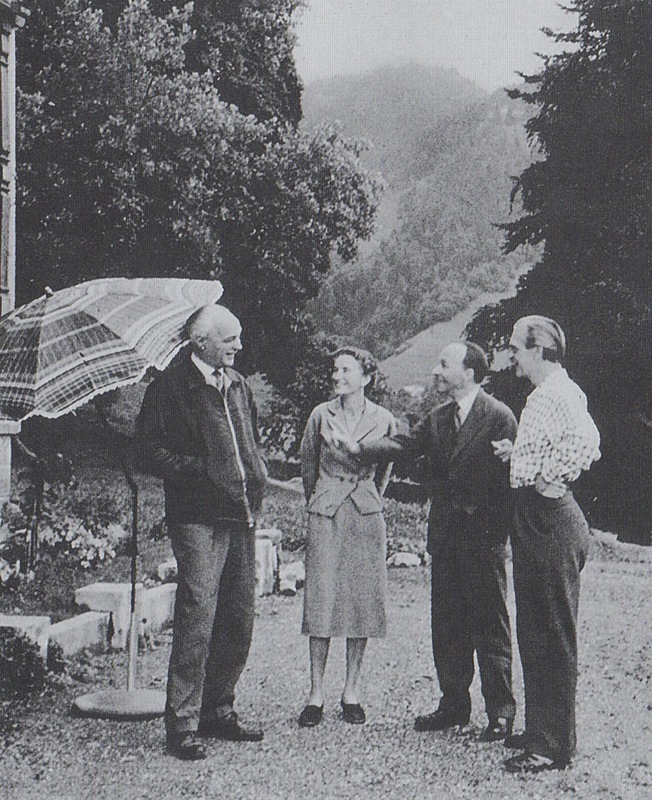 Also in shot are the composer Konstantin Regamey and the pianist Witold Małcużyński. This photo is reproduced in Danuta Gwizdalanka & Krzysztof Meyer’s first volume (-1960) of their two-volume study of Lutosławski and his music (Kraków: PWM, 2003), between pp. 256-257. The photo reproduced at the top is a cut-down version of much larger, off-vertical and unidentified photo that was published earlier this year by the Witold Lutosławski Society in its centenary album Lutosławski 1913-2013 (p.222). Its wider angle confirms my hunch about the location. But Danuta’s shoes seem to be different than in the photo in the square (though the same as in Switzerland! 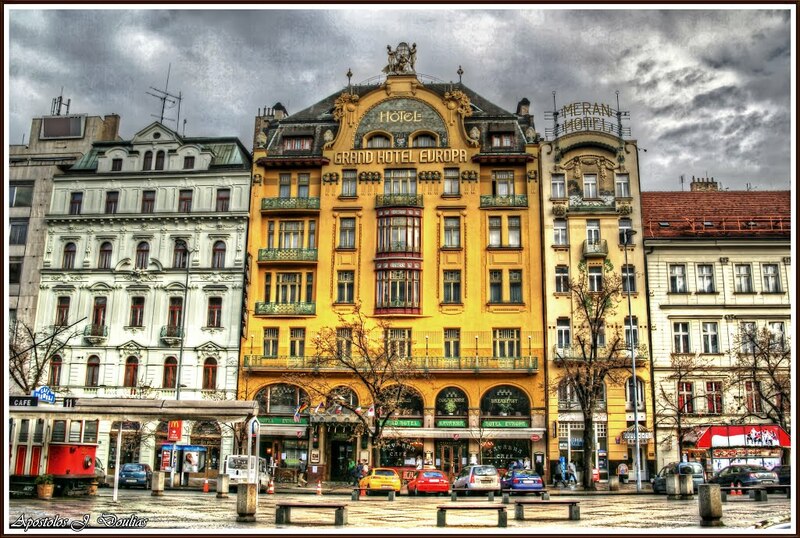 ), so perhaps the two Prague photos were taken at different times.